Non-dyed hair never has perfectly even colour. Bleach is not a hair dye it’s more of a colour strip. If you only want a 100% all natural hair dye then use the plant based henna hair colour. Meanwhile, temporary dyes and highlight treatments should be able to colour hair without the need for harsh chemicals. More specifically, the question is which colour of hair will hair dye affect the most. Never mix different hair dye products, because you can induce potentially harmful reactions (if not an unappealing hair colour). The same hair colour dyes are used as are used in other permanent hair colour products. Because permanent dyes contain hydrogen peroxide, they cover grey hair more effectively and can be used to lighten hair colour, unlike other dyes. The solution of hair dyes does not allow for any, “gradual,” colour change when, and if, you feel it’s time to do so. However frequent applications would be required to sustain the colour as the dye fades with time, exposure to environment and regular washing of hair. You see that luscious red head on the hair dye box and you think, “Wow! 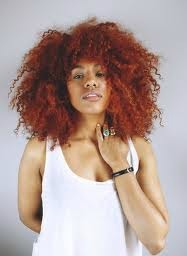 I’m getting ready to do that to my black hair and dye it red on top of that. But the red colour is not going to come out exactly as seen in the model of the hair dye box. As a rule of thumb, the colour you will get depends on your natural hair colour. If you have dark hair, your red will come out a dark red, and if you have very light or blonde coloured hair, your red well come out flaming red! So, don’t always believe that you will be getting exactly the same colour as portrayed in the box.